Engineers and neurosurgeons have developed wireless brain sensors that are absorbed by the body, an advance that negates the need for surgery to remove the devices. The implants, developed by scientists at Washington University School of Medicine in St. Louis and engineers at the University of Illinois at Urbana-Champaign, could be used to monitor patients with traumatic brain injuries. 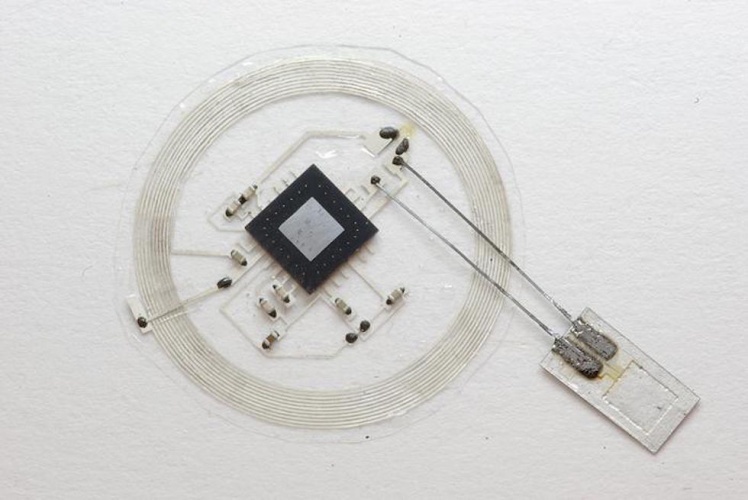 The researchers believe they can build similar absorbable sensors to monitor activity in organ systems throughout the body. Their findings are published online in Nature. Murphy is interested in monitoring pressure and temperature in the brains of patients with traumatic brain injury. When patients with such injuries arrive in the hospital, doctors need to measure intracranial pressure in the brain and inside the skull because an increase in pressure can lead to further brain injury. Furthermore, there is no way of reliably estimating pressure levels from brain scans or clinical features in patients. Murphy collaborated with engineers in the laboratory of John A. Rogers, PhD, a professor of materials science and engineering at the University of Illinois, to build new sensors that are smaller than a grain of rice. The devices are made mainly of polylactic-co-glycolic acid (PLGA) and silicone, and they can transmit accurate pressure and temperature readings, as well as other information. Having shown that the sensors are accurate and that they dissolve in the solution and in the brains of rats, the researchers now are planning to test the technology in patients. “In terms of the major challenges involving size and scale, we’ve already crossed some key bridges,” said co-senior author Wilson Z. Ray, MD, assistant professor of neurological and orthopaedic surgery at Washington University. In patients with traumatic brain injuries, neurosurgeons attempt to decrease the pressure inside the skull using medications. If pressure cannot be reduced sufficiently, patients often undergo surgery. The new devices could be placed into the brain at multiple locations during such operations.